To view this newsletter in a browser, please click here. The structure formed by foodstuff surfactants such as proteins and lipids at an oil-water interface affects the stability of foams and emulsions and is of great importance for production and shelf life. 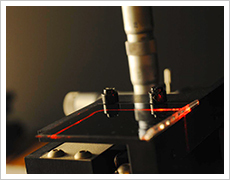 Although these structures can be investigated by means of interfacial rheology, in the past the comprehensive use of this measuring method has been hindered by a complicated test procedure. However, with the newly developed Oscillating Drop Module – ODM, which automates several measurement steps and greatly simplifies their preparation, we have been able to carry out a thorough, reproducible analysis of three foodstuff surfactants in only two and a half hours. We present the results for the relevant parameters modulus of elasticity E’ and modulus of viscosity E” in our new application report. Emulsions and foams are constantly in motion during production or transport. The interfaces of droplets or bubbles are stretched during these processes. How such deformations impact on the stability of food and bodycare products or influence the yield in tertiary crude oil production depends on how the surface tension or interfacial tension responds to the stretching. 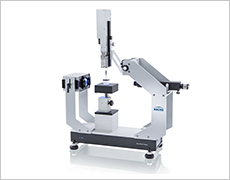 Interfacial rheology measurements with the Drop Shape Analyzer – DSA30R and its Oscillating Drop Module – ODM provide the key to answering this question. 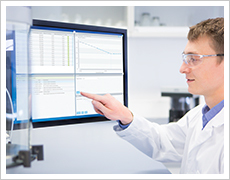 The new Version 1.9 of ADVANCE, our universal software for interfacial chemical analyses, will be included with our measuring instruments with immediate effect and is also available as an upgrade. As the greatest improvement, we have developed an alternative user interface which has been optimized for working with touch displays. 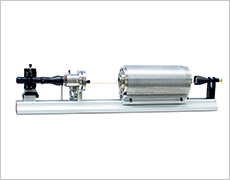 Also included are new measuring methods for the Force Tensiometer – K100. Collaboration between two specialists: KRÜSS, global market leader in the field of contact angle measurement, and LINSEIS, as experts in thermal analyses, have established a new cooperative venture. With immediate effect, the two owner-managed family companies will be following a common path in the field of high-temperature contact angle measurement. 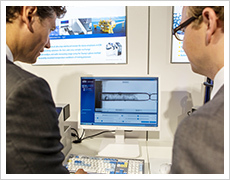 Focus will be the marketing of the Drop Shape Analyzer – DSA High Temperature for analyses at up to 2000 °C. High-temperature contact angle measurements are of interest, for example, in energy recovery with mineral fuels, for investigating slag for blast furnaces or in the production of robust enamel coatings. We have all failed at some time or another to remove adhesive tape from a piece of paper without damaging it. But it is more than just annoying when the paper concerned is a work of art or a historical document with a fixing strip that had been thoughtlessly attached. Appropriately, a method has now been developed at the University of Florence, the city of art and culture, for restoring such valuable sheets. Tiny droplets of organic solvents are embedded in a special hydrogel, similar to that of a contact lens, with the help of a surfactant. This solid-liquid material is trimmed to exactly the size of the adhesive strip before being applied to it. The strip can then be removed without a trace after a short time. Microelectronic circuits have for some time been produced with the help of inkjet printing methods which, increasingly, also integrate microfluidic and micro-optical components such as waveguides in a chip. Such printed lines must run very consistently and be exactly defined in width and height. However, this is made difficult by surface tension (SFT), which leads to the formation of drops and consequently to bulges in the tiny conductors. Instead of trying to reduce the effect of SFT, the scientists from the Optical Society even make use of it. In a two-step process, they first print marking points for the route of the conductor and then apply the actual tracks. These are channeled as a result of the cohesion associated with SFT and therefore run exactly along the marking points. 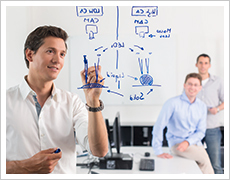 We are excited to announce our seminars on interfacial chemistry in the UK and are pleased to invite you to these events. Check out our events page and find out about all the fairs and conferences we will be attending in the coming months. If you do not want to receive our newsletter (sent to: unknown@noemail.com) , please click here to unsubscribe.